This is for a set of my 8 handmade gift tags. 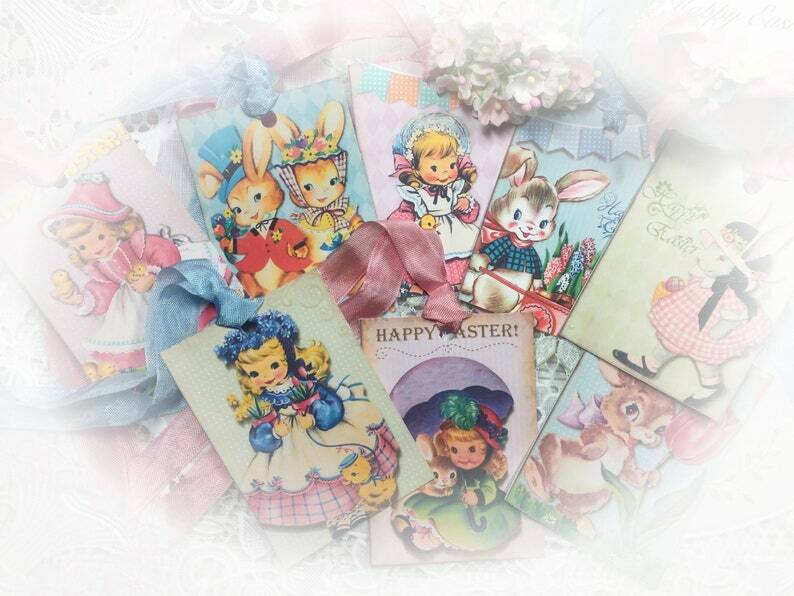 Vintage Easter theme. These also can be used for scrapbooking, journaling, perfect for teacher, housewarming or a hostess gift and bookmarks!